vosgesparis: How to read your favorite blogs | Did you choose your new reader? How to read your favorite blogs | Did you choose your new reader? I have been using reader for ages and have a long list... there are also many blogs I no longer read because my taste changed over the last 7 years. Pretty normal I think! So the whole thing feels a bit like a new blog chapter aswel as I started looking at all the blogs I have in my Reader. I have so little time to read blogs and a list saying 1000+ unread posts isn't really encouraging. I love the basic layout Bloglovin has, being overall white. I installed Feedly on my Ipad and have been using it on the Ipad only and I must say it looks fantastic on Ipad but rather boringon my laptop. I love the cards view style (like in the image above) of it and it is really easy and fast to swap between the pages. You can choose different styles like text only, magazine view, small or large images etc. Idid not install boglovin on my Ipad as I am reading it through my browser... but I will have a look if there is a cool App aswel. When using Bloglovin I love the fact that if I click on a blogpost, I actually go to the blog itself in one click to read the post, which makes it easy to leave comments, we bloggers love comments :) In Feedly you can choose to open the post in Feedly or to open in the blog itself. I think if you are busy (or a lurker) and just want to read the post it is slightly faster. 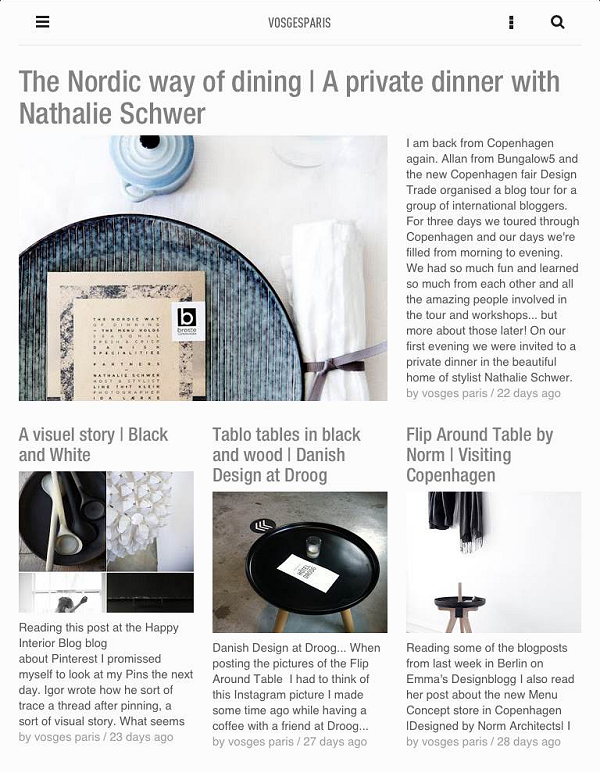 Feedly also allows you to choose a night (black) or day (white) theme. The thing I do not like about Blogloving is the fact I made folders to categorise the blogs. Like fashion, travel, Dutch blogs, friends blogs and updates keep coming in a long list aswel I want my blogs to just stay in the folder :p In Feedly I am still making folders but for now it seems to work fine. If you do not like all these! In the top of the sidebar you will find lots off little black icon's including new one I made for your Feedly all ways on how to stay updated.